If there’s one thing that I really love about Thailand, it’s their food. I honestly don’t remember not enjoying any of the food we ordered at the restaurants we’ve been to in the Land of Smiles last year. 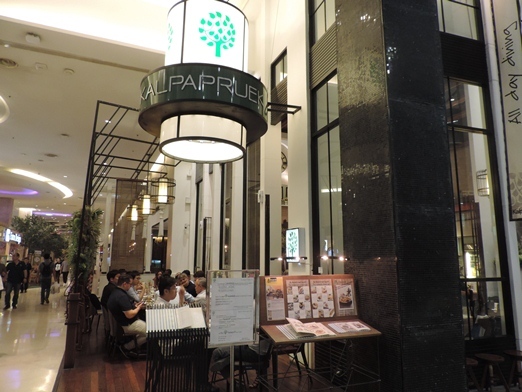 One of those places we found truly enjoyable and really worth going back to is Kalpapruek at Central World in Bangkok, Thailand. 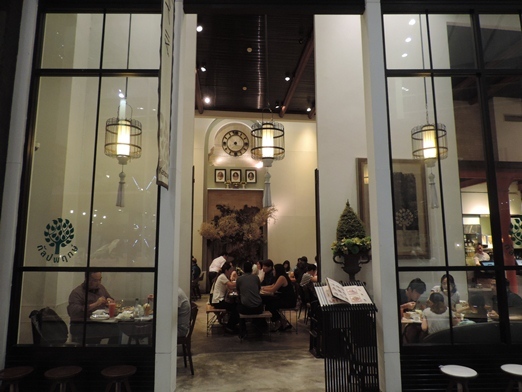 Kalpapruek is a high-ceilinged, chic and elegant Thai restaurant located at the Food Hall of Central World Shopping Centre. We had dinner at Kalpapruek one weekday in October 2017 after hubby’s office work was done. Our delicious dinner consisted of Stir-fried Sea Bass in Black Pepper Sauce and Chicken Red Curry. All three of us (hubby, son and me) gave this Stir-fried Sea Bass in Black Pepper Sauce the thumbs up! It’s a simple yet flavorful dish that had us craving for more. We loved the flaky, soft firm meat of the sea bass. Also, the black pepper sauce didn’t overpower the mild and delicate flavor of the fish, which made for a more delectable treat. 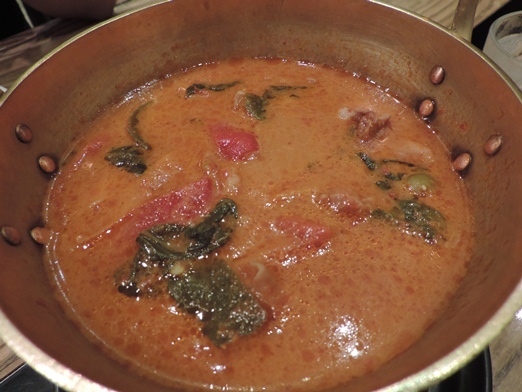 If I’m not mistaken, we requested for this Chicken Red Curry to not be so spicy so that our young man could try it, too. However, no amount of cajoling from us his parents would make him taste it because he was already content and satisfied with the Stir-fried Sea Bass in Black Pepper Sauce. Anyway, hubby and I enjoyed this to the hilt. It was for us the perfect complement to our sea bass dish. It’s delicious but not too spicy. And because we wanted to explore more of Thailand, we decided to satisfy our sweet cravings at a nearby dessert shop after dining at Kalkapruek. 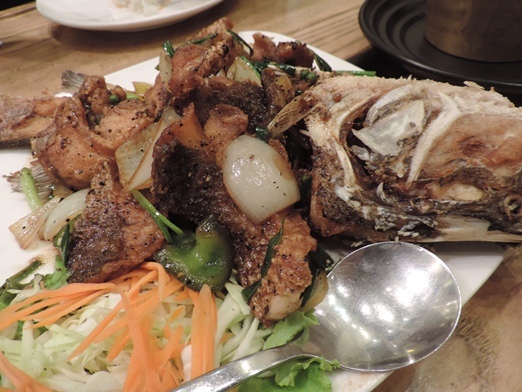 This entry was posted in Kalparuek, Thai Cuisine, Thai Food. Bookmark the permalink. Hi Tetcha! I’m so happy to see you are still blogging! I was browsing through my old blog posts, reading comments and reminiscing about the old blogging days 😁 Sad to see some of our blogger-friends have stopped writing. Imagine my excitement when I saw you are still at it. I guess it’s time for me to write again. I hope you are well. I’ll stay in touch.